When it comes to treating your feet, the Foot Center at Rödingsmarkt is the place to go. Whether you have painful calluses, toenail problems, arch, heel, or ankle pain, blisters or corns, or other foot problems, our team of podiatrists will provide you with the quality care you need to feel better and get you back on your feet. Our modern, convenient facilities, provide all the necessities for comprehensive foot care. Our team will meet with you, tell you why your feet hurt, and what we can do about it – in a reassuring and friendly way. If you need special shoes, paddings, braces or custom arch supports (orthotics), we’ll be able to provide you with them through our relation to orthopedists and orthopedic shoemakers. If you need specialized attention, you’ll be directed to one of our many special clinics, such as pediatrics, sports medicine, diabetes, or surgery, all located within short reach of our office. We can reduce pain and help prevent future injury. Our team of professionals will devise an individualized treatment plan to achieve the specific goals of each patient. 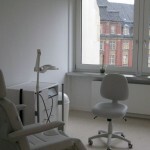 A Podiatrist / Chiropodist in Germany is a foot specialist trained to treat any and all ailments of the feet for all age groups. Why would you see a Podiatrist / Chiropodist? The human foot contains 27 bones, 33 joints, 107 ligaments and 19 muscles. The feet, therefore, comprise approximately 1/4 of all the bones in the human body. It is no wonder, then, that conditions such as arthritis, diabetes, neurological and circulatory disorders tend to manifest initially in the feet. A Podiatrist / Chiropodist is medically trained to assess and treat ailments resulting from the abovementioned disorders. Over time the human foot undertakes extreme stresses and forces due to our gait, level of activity, weight gain and shoe wear. Any one of these factors may create biomechanical instability of the feet resulting in painful toes, heels, ankles, knees, hips or even lower back. 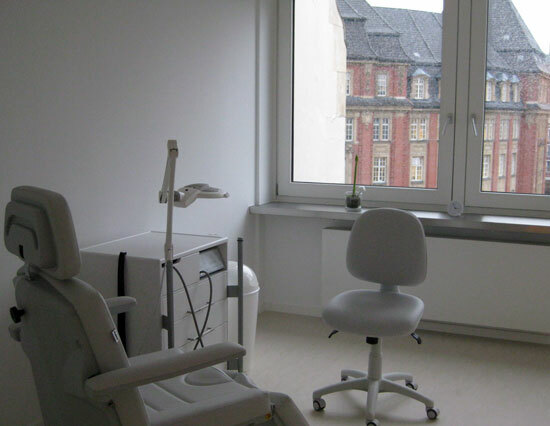 Correct assessment and treatment of these conditions are a very important part of the Foot Center at Rödingsmarkt in cooperation with many specialists as there are orthopedics, dermatologists, shoemakers, surgery, physiotherapists.